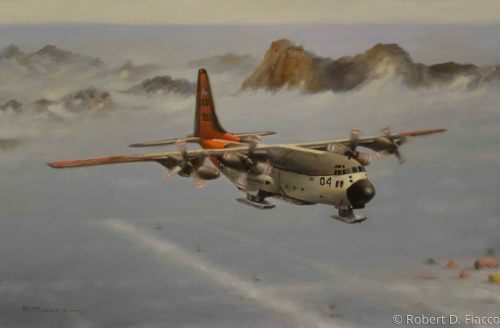 A LC-130R Hercules support the National Science Foundation's "Operation Deep Freeze" in 1990. 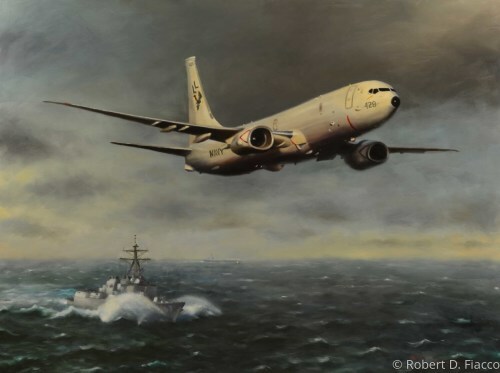 The Hercules is was operated by the US Navy's Antarctica Development Squadron Six (VXE-6) until 1994. 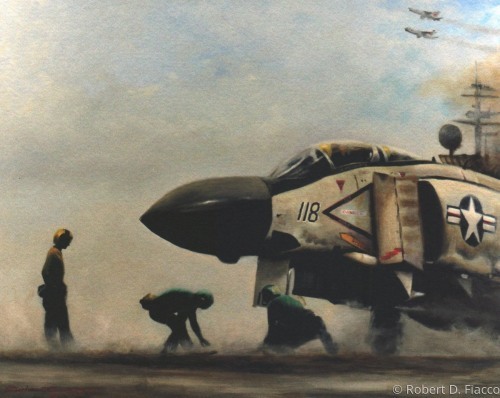 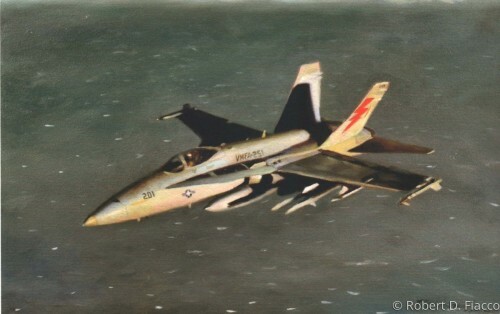 F-14B Shoot Down of MIG Flogger by VF-32 over Libyan waters. 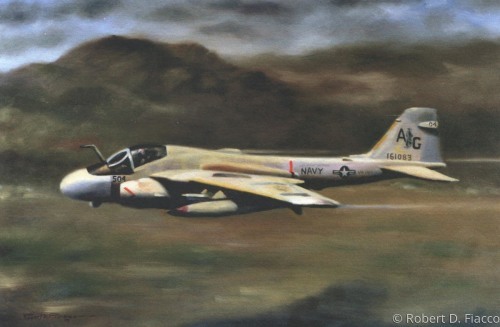 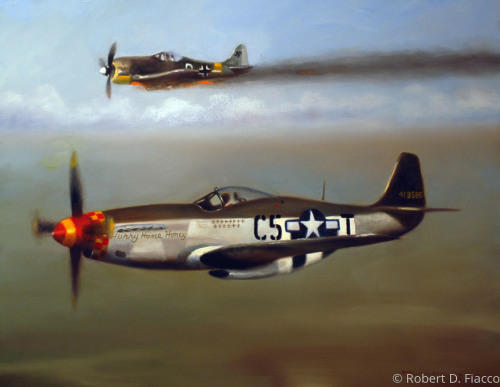 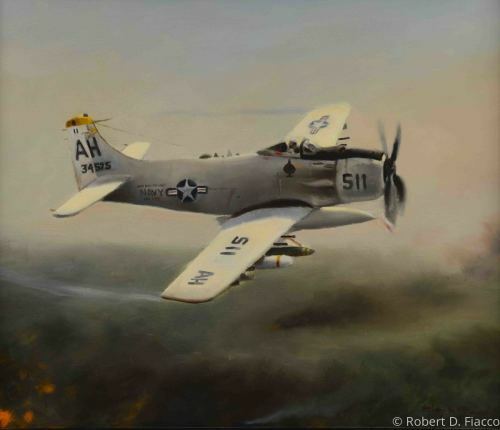 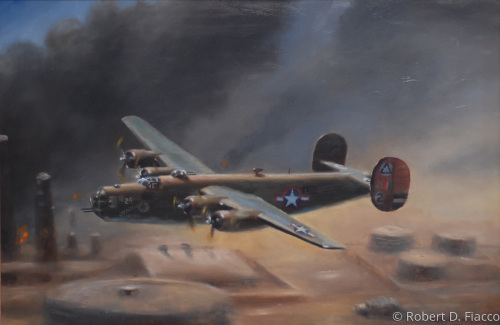 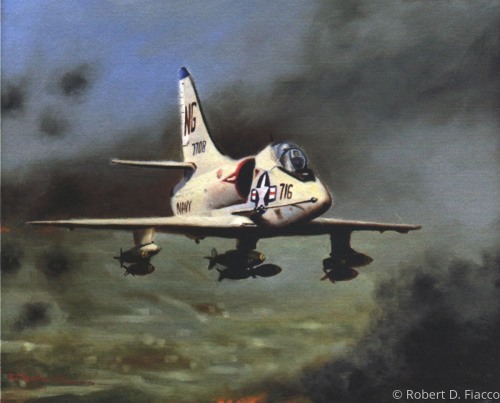 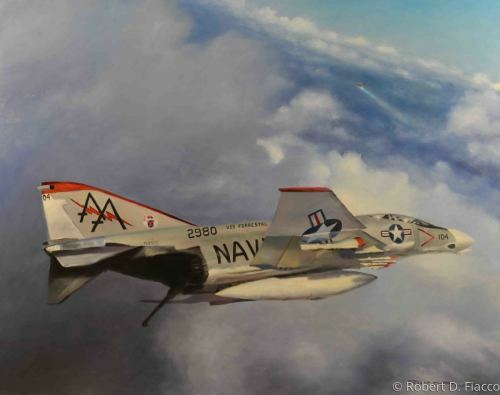 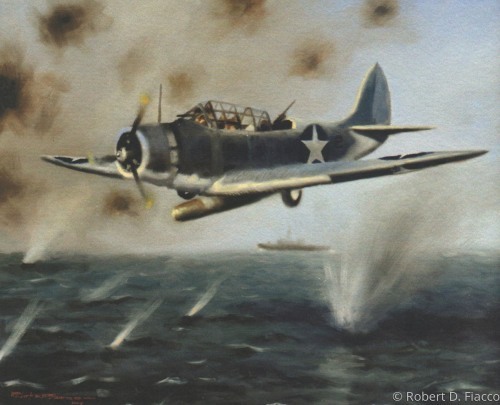 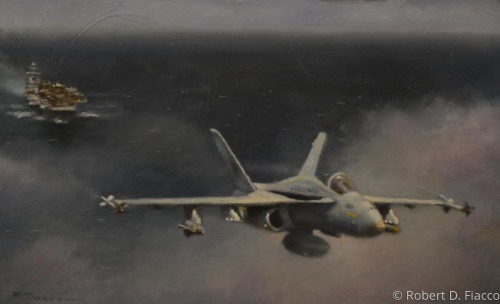 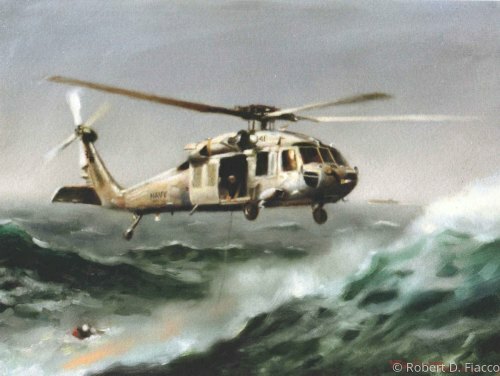 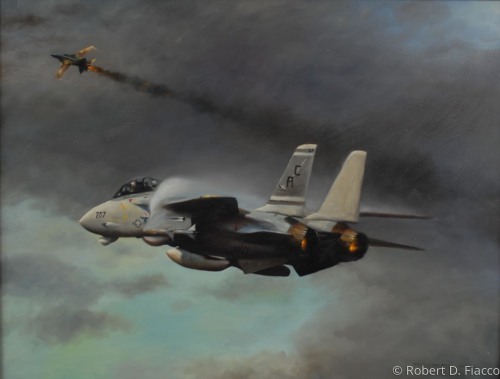 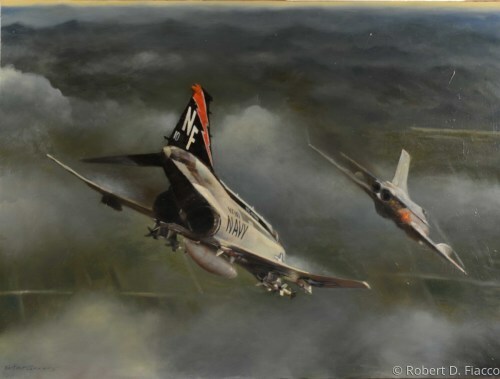 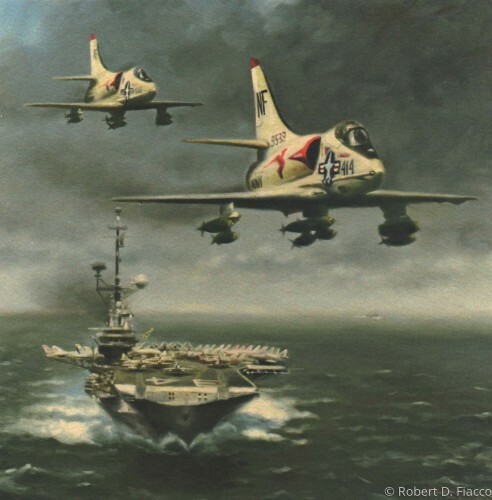 Giclee print of an A-1J Skyraider performing suppression mission during Search and Rescue mission over North Vietnam.